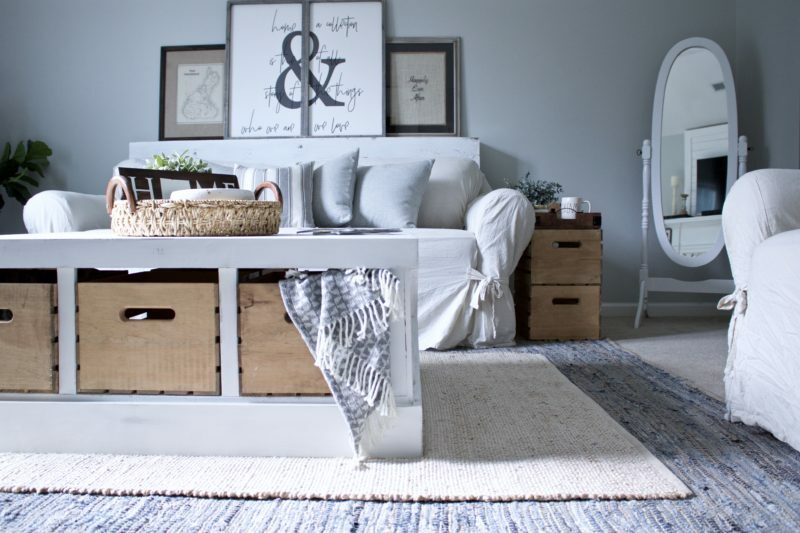 There’s nothing worse than a space with limited storage. Don’t you agree? With two kids that have more collections then I can name, I find myself constantly looking for ways to organize and add more storage to our home. 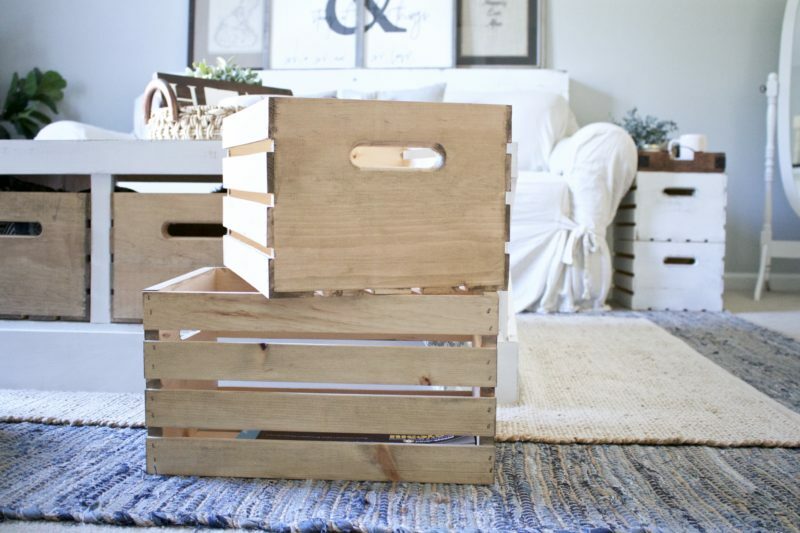 Today, I’m talking about adding extra storage to your home using craft crates. 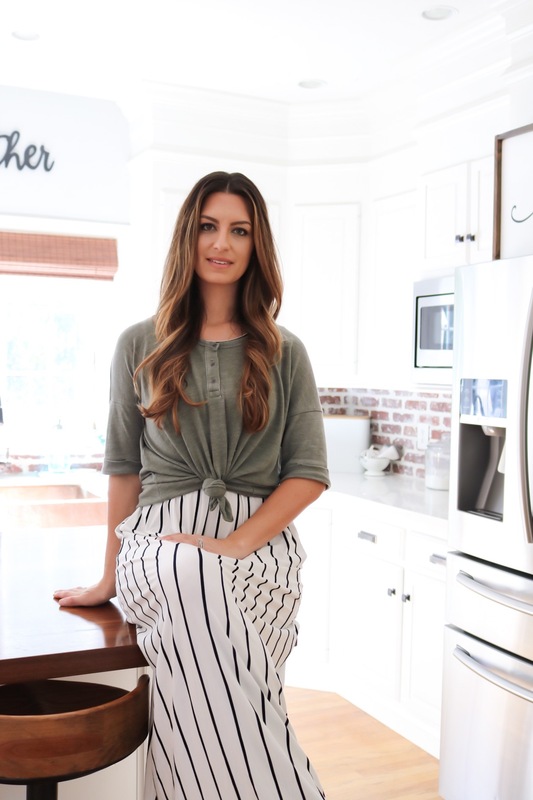 I’ve partnered with Extra Space Storage to share this simple and inexpensive way to get organized and maximize your space! Organizing and decluttering is a form of stress relief for me. I don’t live well in clutter and chaos. 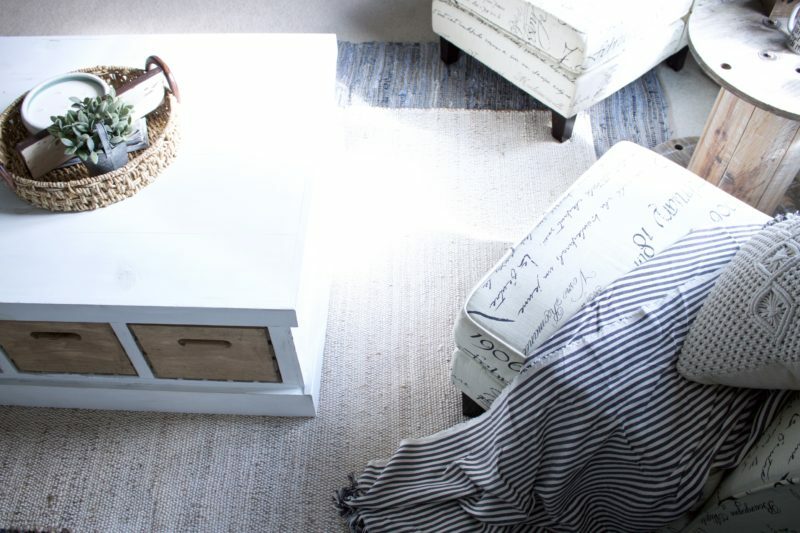 As we redesign our home, room by room, I’m adding functionality to each space. 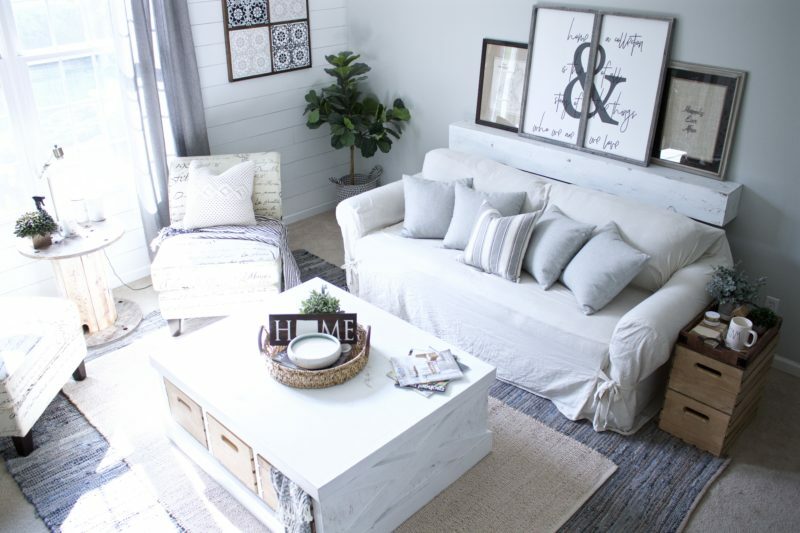 I was excited to tackle this sitting room and get to adding more storage. 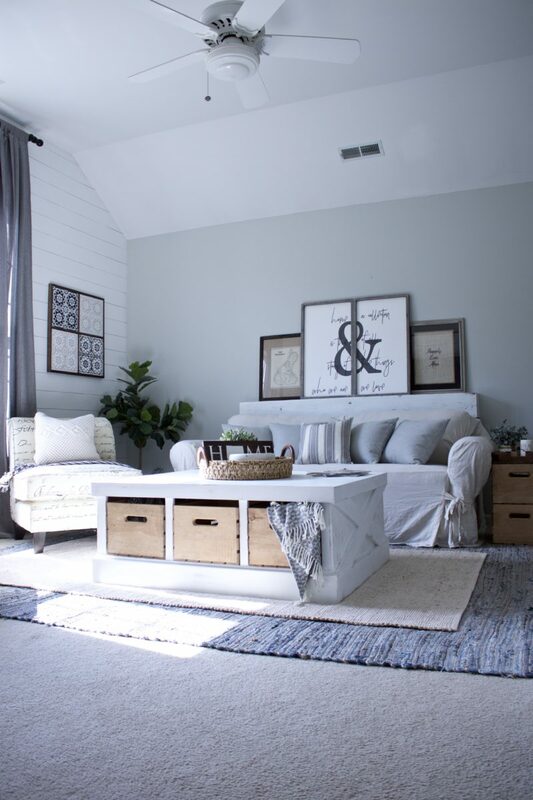 This room is off our master bedroom and acts as a family room. We actually gather here for game night and movies all the time. More so than we do in our main level living room. So adding storage and function was important. I’ve stepped on more legos and dolls than I’d care to talk about, but now they all have a place to be stored! Decide what you plan to store in the space. This will help determine how much storage you will need to create. Set a realistic budget. 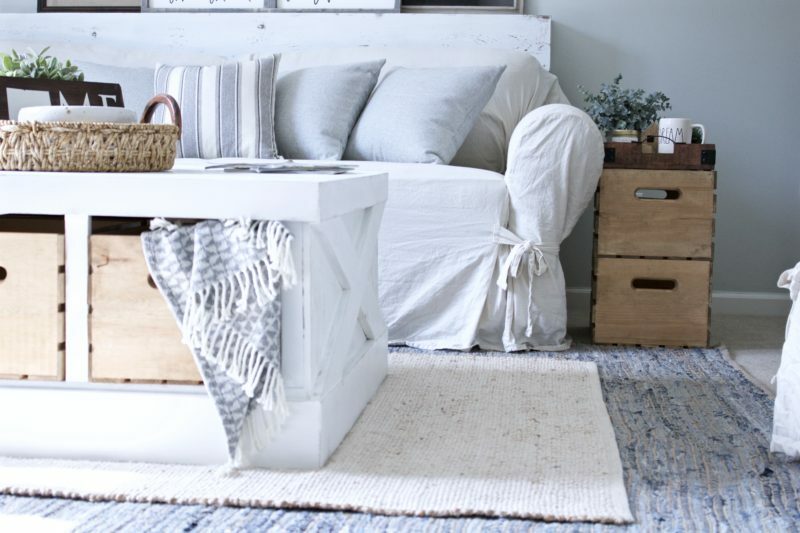 Whether you’re going to purchase already made storage options or tackle a DIY project its always a good idea to come up with a budget and do your best to stick to it. Determine the style you desire. 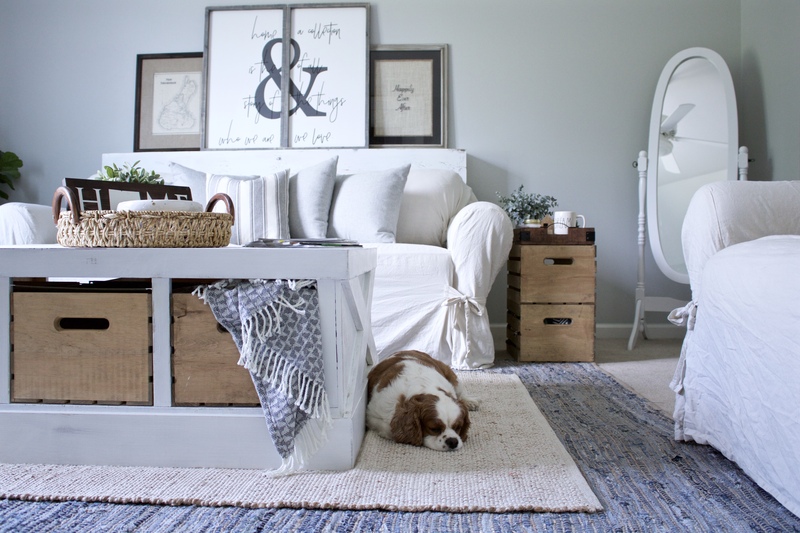 In this case I knew I wanted the extra storage to fit in with our modern farmhouse style. 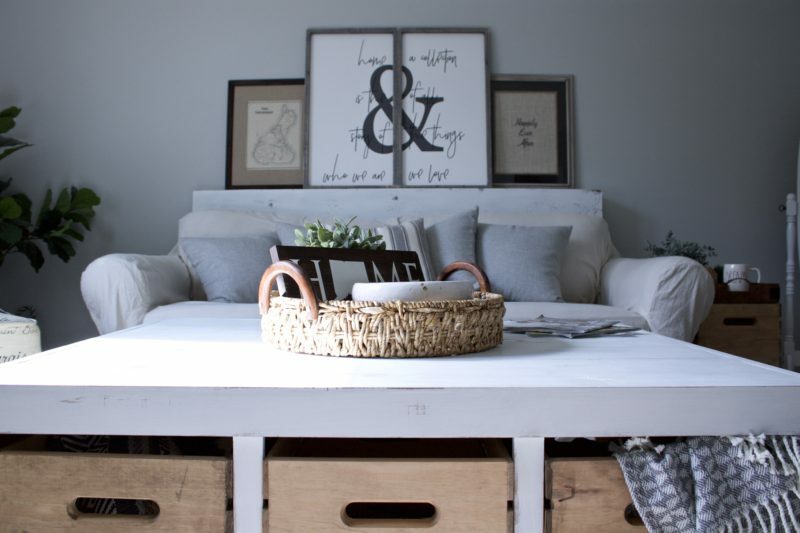 Create your storage if you’re going with DIY or purchase the storage options you’ve decided upon. Gather all of the items you will be storing and get to organizing! Enjoy your newly organized and stress free space! To get the distressed finish I used a dark gel stain in Java, as seen here. Once the stain dried, I applied two coats of white milk paint. 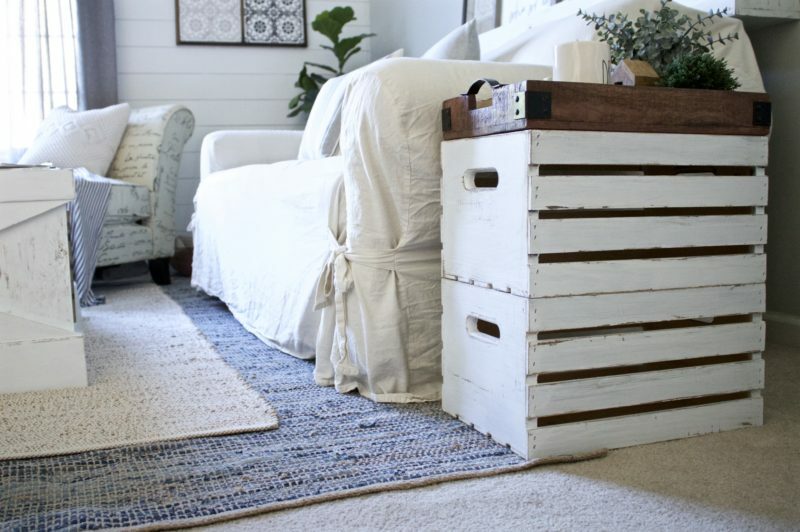 Let your crates dry, then you can use a scraping tool to remove some of the white paint. This will achieve a worn and distressed finish. I’ve included links to the products I prefer and have found to work best but there are many options available. I used a really amazing one step stain in Weathered to get this old, weathered wood look. Again there are many stains available to choose from but the one I’ve linked is my favorite to work with. I really love both of the above finish options but you can choose to finish the crate in any way that fits your style. 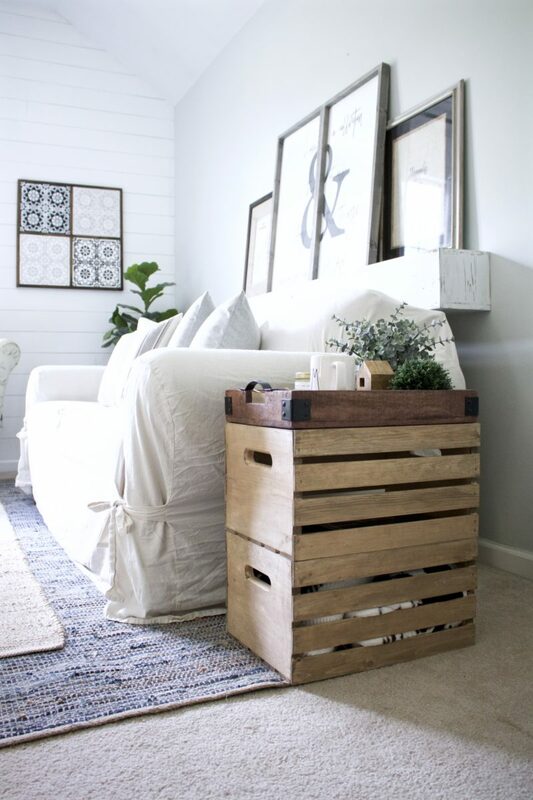 This functional and inexpensive side table is my favorite use for these crates. 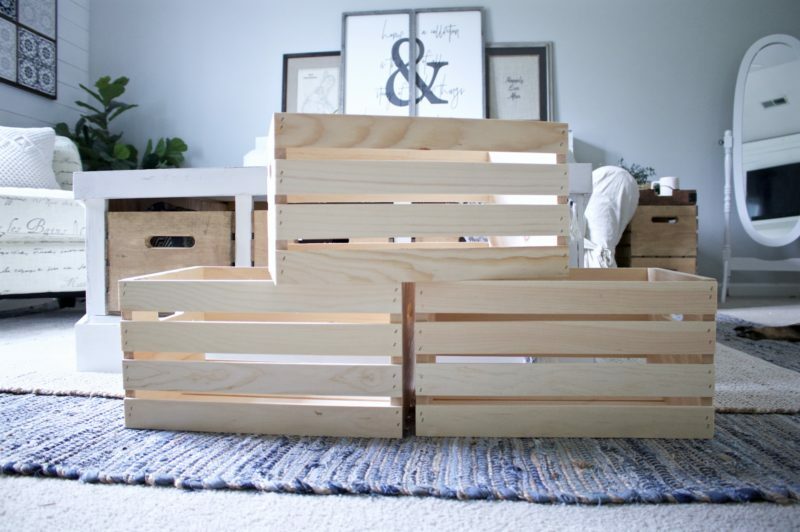 Simply take two craft crates and stack them on top of each other. Then place a breakfast tray or piece of wood on top to finish it off. The best part is this could be made for less than $20! 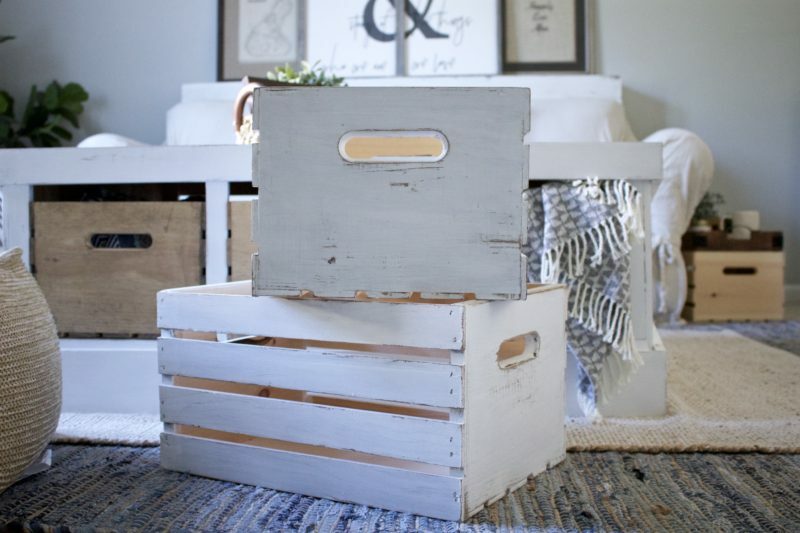 You can often find these crates on sale at your local craft store. Don’t forget to check your store’s website as they often offer a discount to buy online and pick up in store, making this project even more affordable! 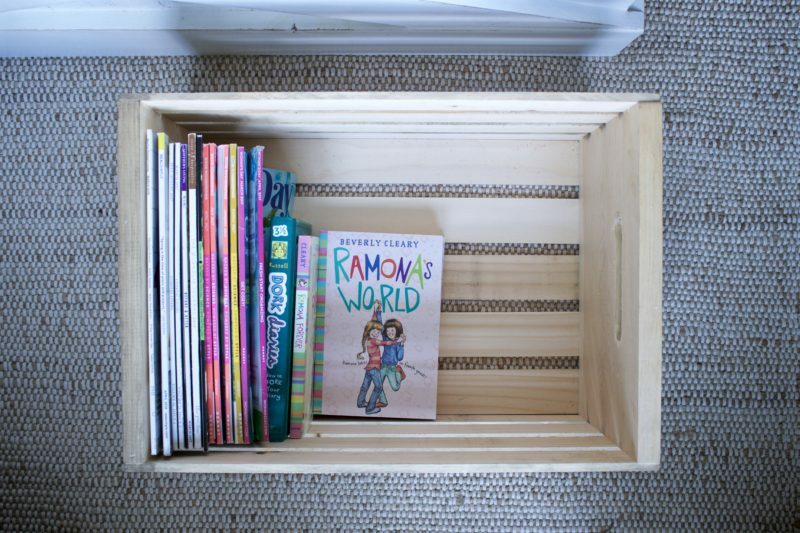 The storage possibilities are endless! 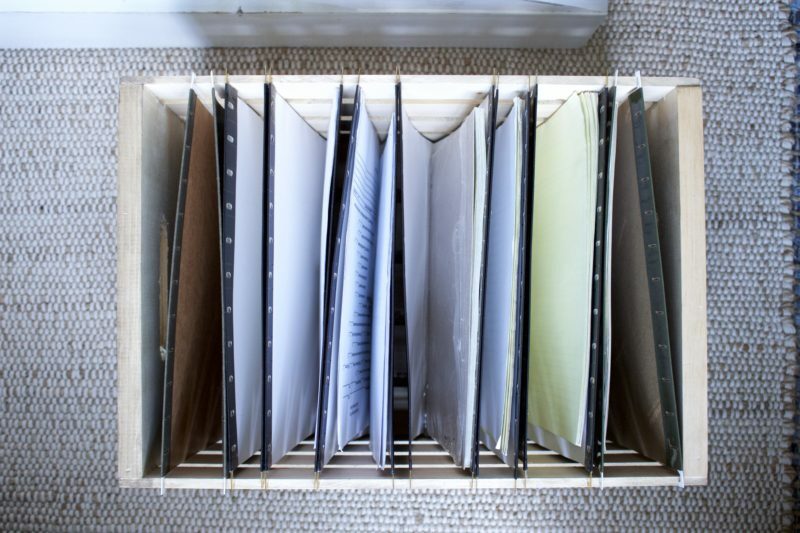 Store anything from paperwork in file folders to all your little one’s toys. 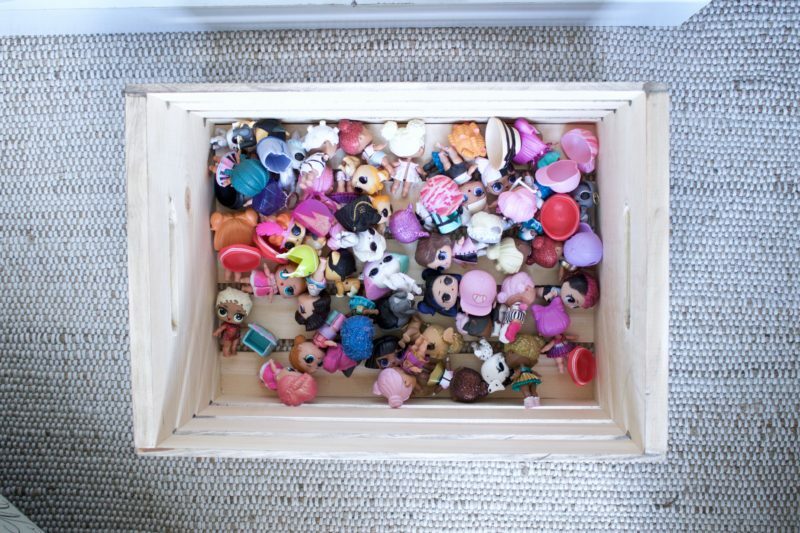 organize and store those toys! 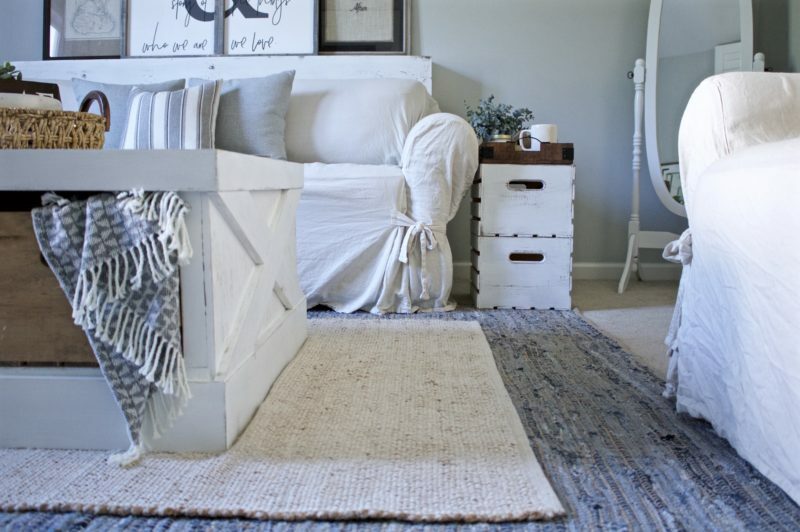 Add texture by layering rugs of various patterns and sizes. Add warmth by using throw blankets and pillows. Create depth and interest by using pieces with different heights. 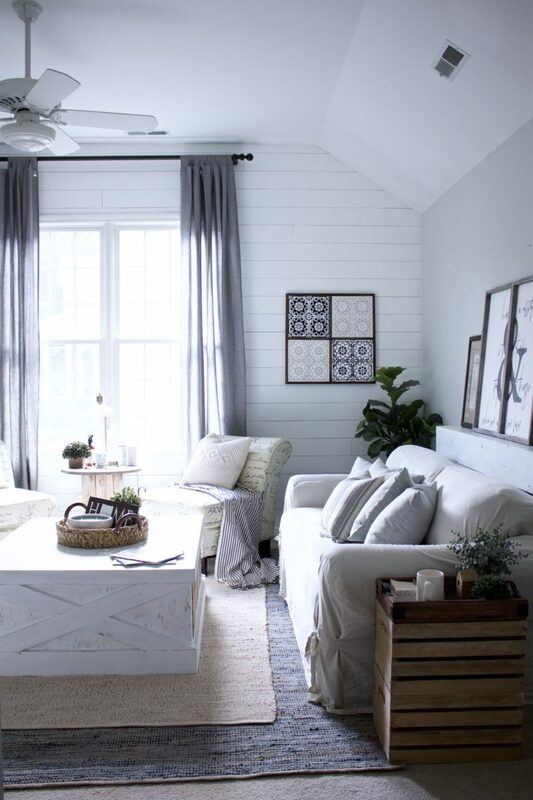 Hang curtains higher than the window frame to make windows look taller and your space larger. 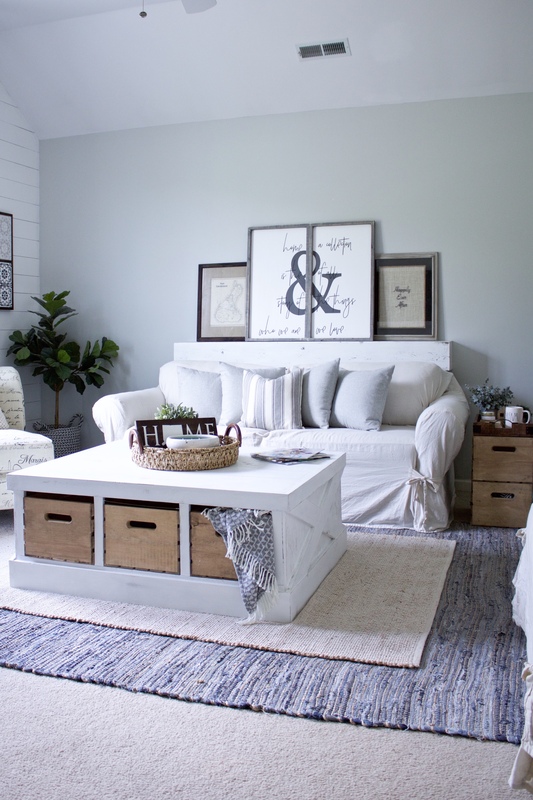 Arrange furniture so that it makes conversation easy. 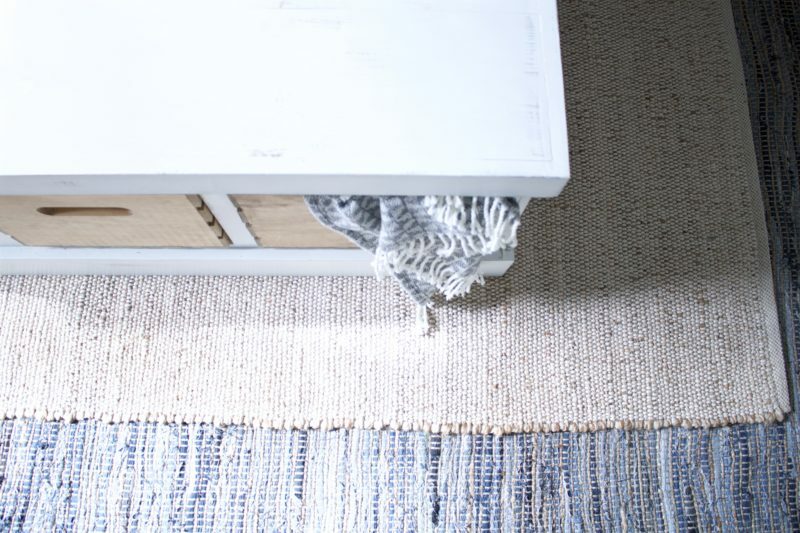 Avoid making shelves and tables look cluttered with too many pieces. 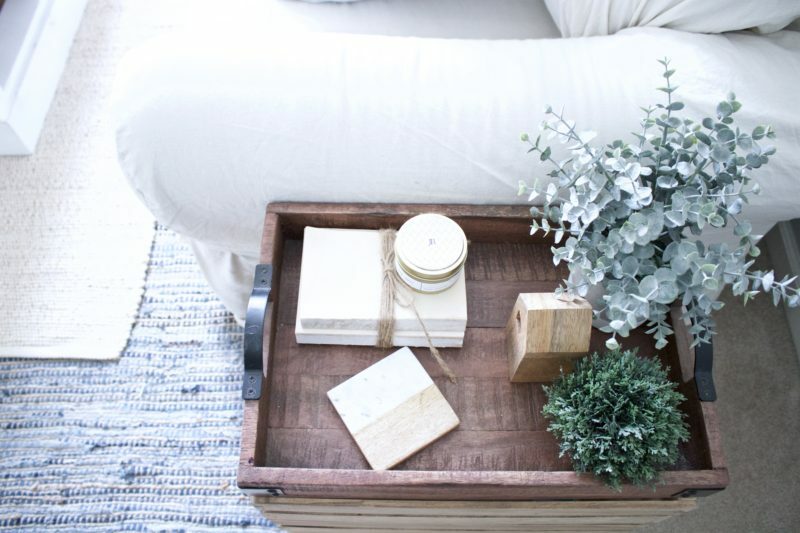 Add a pop of color with real or, in my case, faux greenery. 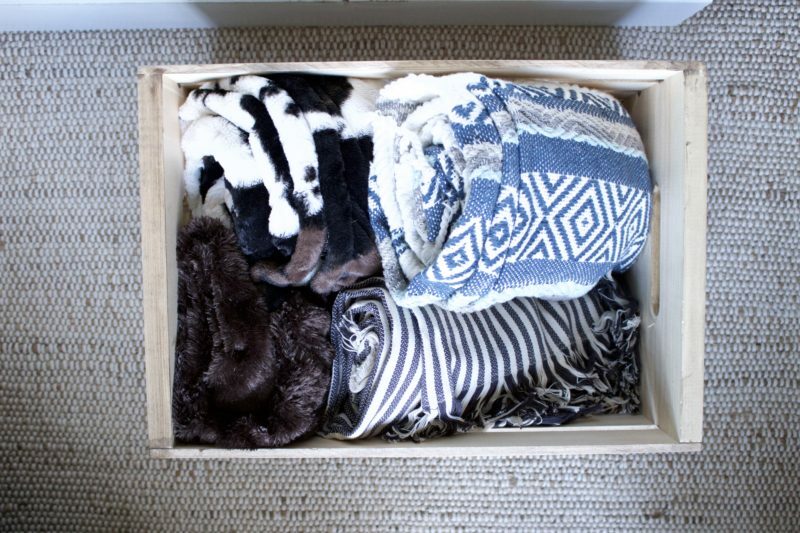 For more storage and organization ideas, visit the Extra Space Storage blog and @extraspace on Instagram. There you’ll find a ton of great information on storage, home organization, and many other valuable topics! I’m headed to their blog to check out the outdoor living space and gardening topics because summer time is all about being outside. See you there! And, as always I’d love to hear your thoughts. Please leave any questions or comments below.